To the Reader It May Concern & other poems by Arthur Case. Sandpaper liquids. Story by Edgar Ilas. Translated from the Catalan by J.M. Sobrer. THYRADIA (Oh, Darling, I Don’t Want to Die), by Leslie Howes. Four scenes from Act II. Postscript, with spoiler alert. Four poems by Jac Nelson. Four poems by Moneta Goldsmith. 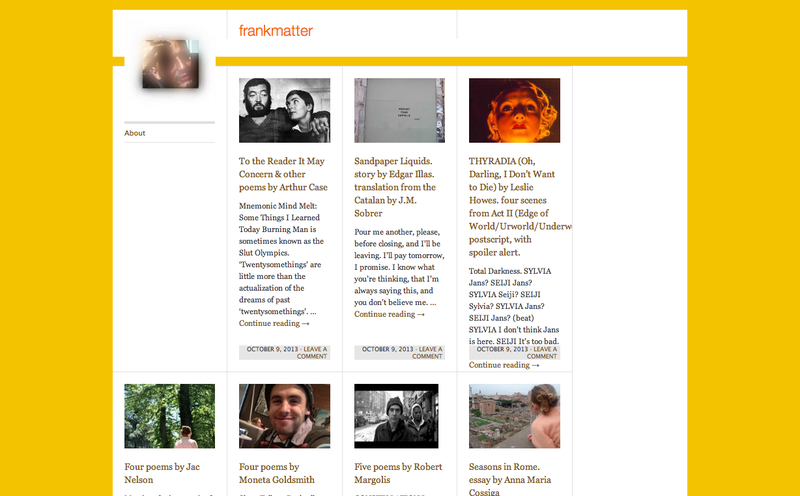 The contents of the second issue can be found by scrolling down the homepage.